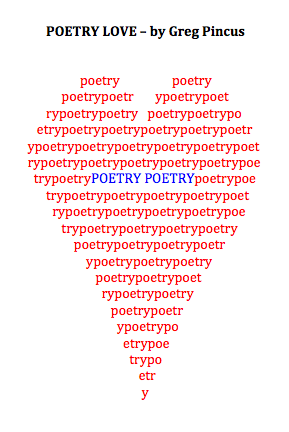 Poetry: Spread the Word and 30 Poets 30 Days — Happy National Poetry Month! If Poetry: Spread the Word is funded, over the course of the next year (roughly May, 2011 through April, 2012), I will put 100 original poems up on my blog and out into the world for free and do 40 school visits (via Skype or, if it works out, in person) at no cost to the schools. I’ll also create a collection, described in more detail below, that will celebrate and document the visits and the poetry. By supporting this project, each of you can become a patron of the arts. You’ll help get poetry into classrooms, take the fundraising and organizational burden off teachers and parents, and enable me to have time to write and publish free poetry on my blog. At the same time, I hope I can make “doing good” be even more rewarding for you by offering something of value in exchange for your support. I love win-win-win situations, and I hope that’s what has been created here. Indeed! If pledge $10 or more, you get a PDF of the Poetry: Spread the Word collection, and it only gets better from there: signed poems, postcards with poetry, choosing the topic for a poem, sponsoring a class visit, or even a custom poem! More details here, along with a spiffy video with more about why he’s doing the project. Tonight: Save the Rave — live at City Hall! Life imitates art imitates life? startup founder: ladzzz.com is like Quora meets Foursquare with questions guys want to know about. and game mechanics. angel investor: you’re thinking small. why not Quora plus Badgeville’s game mechanics for the enterprise? Last week we asked whether we needed a Yelp for the enterprise. Ed Borasky* suggested that Quora could fill the role of providing crowdsourced reviews of enterprise software vendors. Focus.com, a more business-centric questions and answer site, could possibly do this as well. But what about Quora for the enterprise? Indeed! And reading further in the story, discovered that one of the contenders is “is applying gamification principles in an attempt to drive adoption”. Nice to know I’m in sync with the Zeitgeist. November was such a busy month that I didn’t do any journalling. But now, with the draft of g0ddesses.net wrapped up, it seems like a good time start up again. Wow, what a month. I wrote a novel! Well, at least a draft of one … 75,000 words. g0ddesses.net needs a lot of work of course, but still: I’m pretty darned happy about it. D got her novel done too, and I can wait to read it. Yay us! Tonight’s the end of NaNoWriMo, and we’re having champagne to celebrate celebrating. Thanks to ladysheishou and the nano_writers community. Dedication and links to some excerpts below. And that’s not the only reason to celebrate. We made great progress on Tales from the Net this month, and the second half of the month was filled with activism. On the night before Thanksgiving, after National Opt Out Day, my Facebook profile said “i heart the grassroots” and wow it’s true. I think when we look back at what just happened we’ll realize that heroes across the country stood up and said “enough is enough”. The organizing happened on message forums, blogs (including me on I Will Opt Out and Pam’s House Blend), Reddit, Twitter, Facebook, tribe.net, and email; social networks really are the the future of civil liberties. I’m proud to have been a part of it and looking forward to working together as we fight for our rights. So all in all, a great month. Pass the champagne! Interim interim CEO didn’t seem like a particularly empowered job so my first reaction was that I probably wasn’t interested … but hey, never say never: I was trying to keep an open mind as I was getting my consulting business off the ground. On top of that it had been a few months since we had talked and when I heard her voice I realized that I was really looking forward to seeing her. So even though I did have dinner plans on Saturday night, after D’s out of the blue Friday afternoon phone call I decided to reprioritize. My novel g0ddesses.net is set in the Silicon Valley startup scene and there is a some corporate drama behind it, so I want to make sure that the organization and ownership stakes make sense. Here’s what I’m currently thinking … feedback welcome! Tales from underground: HOTwired Seattle! This’ll be the first time we’ve been to Seattle’s psytrance monthly HOTwired since it moved to Waid’s a couple of months ago. Aminata and Osiris Indriya, Lara, Blue Spectral Monkey … and it goes to 4 a.m.
Sarah Blankinship and I are presented Securing with the Enemy: Social strategy and team of rivals at Shakacon today. More about our talk later; this post has notes from the keynote presentation on The Art of Espionage, by Luke McOmie (aka Pyr0) of British Telecom. Luke’s consulting includes “real world risk assessments”, which sometimes involves breaking into his clients’ companies to test their security. So it’s a great opportunity to hear about the kinds of techniques the real bad guys use. Fascinating stuff! Beat University is a non-profit partnership between San Francisco institutions Pyramind, LoveFest and Supperclub to raise money for the only dedicated electronic music scholarship fund in the entire U.S. The quarterly series of electro, house, and trance parties at top dance venue Supperclub will donate all of its proceeds to help up-and-coming electronic music producers fund their education at Pyramind, the city’s leading digital audio and music production training facility. Supperclub’s a great venue, and the DJs didn’t disappoint. In the main room, Digital Paradigm had the floor packed by the time I got there at 11:30, Frost Raven followed on with a psytrance set, and Liam Shy rocked as always, with a lot of unreleased stuff. Unsurprisingly it was a very young crowd, and interestingly almost nobody was drinking. The vibe was happy and casual. Good stuff! Picture this: You’re gearing up to create a killer playlist on your 30GB Zune for your annual New Year’s bash. All of a sudden, your Zune locks up, reboots itself, and freezes. What the heck is going on? Later in the day, Microsoft finally figured it out. While writing some of the driver software, the world’s biggest software company had forgotten to compensate for leap years. The solution? Wait 24 hours until Jan. 1. As Joseph Flatley says on Engadget, let’s hope they get it right by 2012. Even then, there may be a pesky digital-rights-management issue. The Microsoft posting promised a fix by the end of the next leap year in December 2012. Looks like they’re on top of it. Happy software quality/DRM new year!